In April 2012, the National Engineering Laboratory for Neuromodulation (NELN) was founded and approved by China’s National Development and Reform Commission. Hosted within the premises of Tsinghua University (Beijing, China), the NELN collaborates with Beijing PINS Medical Co. Ltd and Beijing Tiantan Hospital. The NELN is dedicated to developing novel technologies for treating major neurological disorders, such as Parkinson’s disease, epilepsy and depression, in parallel to overcoming the bottleneck processes in R&D and manufacturing of implantable medical devices for neuromodulation. The NELN consistently carries out world-class technological research and critical quality processing tests in energy optimization, closed-loop control and electrode reliability. To date, the laboratory has produced a series of implantable medical devices for neuromodulation that are patented with intellectual property rights. These have promoted the application of innovative engineering technologies and progressed China’s development in the medical device industry. Overall, the NELN is actively contributing to the growth in the Nation’s innovation capabilities, as well as stimulating industrial expansion through overcoming competition in novel technological applications. Neuromodulation is now used globally to treat some of the major diseases of the central nervous system (CNS) and can be applied as a valuable research tool in neuroscience. The direct stimulation of nerve tissue delivered through an implanted medical device (i.e. a pacemaker) is an effective method for treating disorders such as Parkinson’s disease and epilepsy. The main industrial partner of the NELN, Beijing PINS Medical Co. Ltd, has obtained production registration of a series of brain pacemakers. Since October 2015, these products have been sold to more than 70 well-known Level A Tertiary Hospital, and neurology/ neurosurgical hospitals in China. There have been over 2,600 patient cases for implantation surgeries completed, with total patient cost for therapy being reduced by more than 200 million Yuan. The core collaborative research network of the NELN that exists between Tsinghua University, Beijing Tiantan hospital and Beijing PINS Medical Co. Ltd is truly unique in quality of contribution in areas of: 1. Research – Tsinghua University being one of the leading research institutes in China; 2. Clinical application – Beijing Tiantan Hospital is an authoritative 3rd-Class one grade hospital in neurosurgery; and 3. 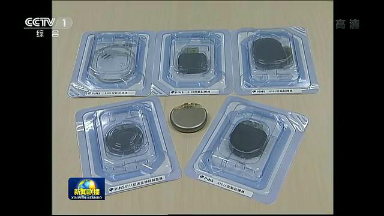 Industry – Beijing PINS Medical Co. Ltd is the first domestic brain pacemaker manufacturer committed to neuromodulation. These three organisations have an established collaboration agreement that is under strong support from the National Development and Reform Commission, within the area of ‘industrial-university research in medicine’ for high-technological medical R&D and industrialization. This strategic setup draws from the expertise of multiple disciplines, from core technological research to manned-space designs, for high technological device reliability and application. The research team is a domestic leader in independent R&D, industrialization and clinical application for medical devices in neuromodulation. Since its establishment, the work of the NELN in technologies for neuromodulation has had a growing social impact that has been well recognized. In January 2015, the article ‘neurosurgery development history in China’ (published in the ‘Chinese Journal of Surgery’) regarded domestic development of brain pacemakers a milestone in historical progress. Furthermore, ‘Tsinghua brain pacemaker reducing the burden of patients with Parkinson’s disease’ was selected for the 6th position in a ‘decade of science and technology’ by Science and Technology Daily/ China Science and Technology Network. In other reports, ‘Brain pacemaker research’ was recognized as one of the ‘top ten scientific and technological progressions in Chinese universities in 2012’. The CCTV news has also issued a special report on ‘domestic brain pacemaker breaking proprietary technology monopoly of the United States’, while China People’s Daily acknowledged the nurturing of pacemaker developments through the collaborative industry-university-research-application. With continuous diligence and perseverance, the NELN has now developed brain pacemakers with innovative features such as high-field MRI compatibility, local field potential recording capabilities, and novel stimulation paradigms (i.e. variable frequency stimulation). In addition to these achievements, the devices can be remotely programmable over a network link, supporting China’s demand in technological innovation and overcoming boundaries in healthcare development. This autonomic innovative brain pacemaker technology platform provides a world leading research tool for top class doctors and scientists for studying new clinical indications and brain function. The vast potential for in-depth exploration of basic and complex brain mechanisms (i.e. motor function, sleep, language) is now accessible in a way never seen before. 1. The series of available brain pacemaker products. 2.A discussion on the brain pacemaker industry on Beijing News with (from left to right); Beijing Party Secretary Guo Jinlong, President Chen Jining of Tsinghua University, Director Yan Aoshuang of the Beijing Municipal Science and Technology Commission, and Professor Li Luming of Tsinghua University, Director of NELN. Room 204B,Mengminwei Science&Technology Building,TsinghuaUniversity, Beijing,100084,P.R.China.